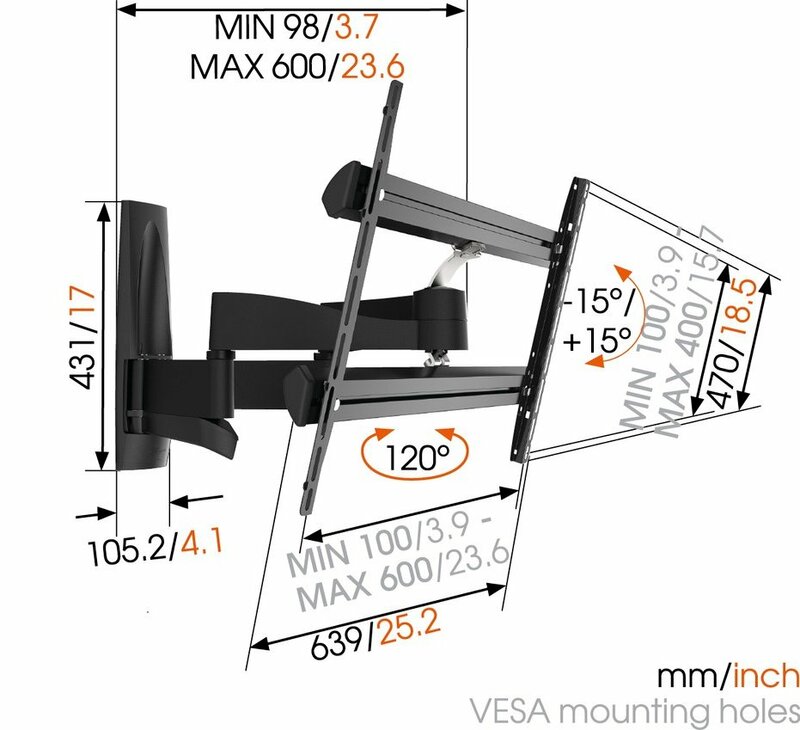 For large TVs up to 65 inch (165 cm) The WALL 2350 TV wall mount is suitable for 40 to 65 inch (101 to 165 cm) TVs. 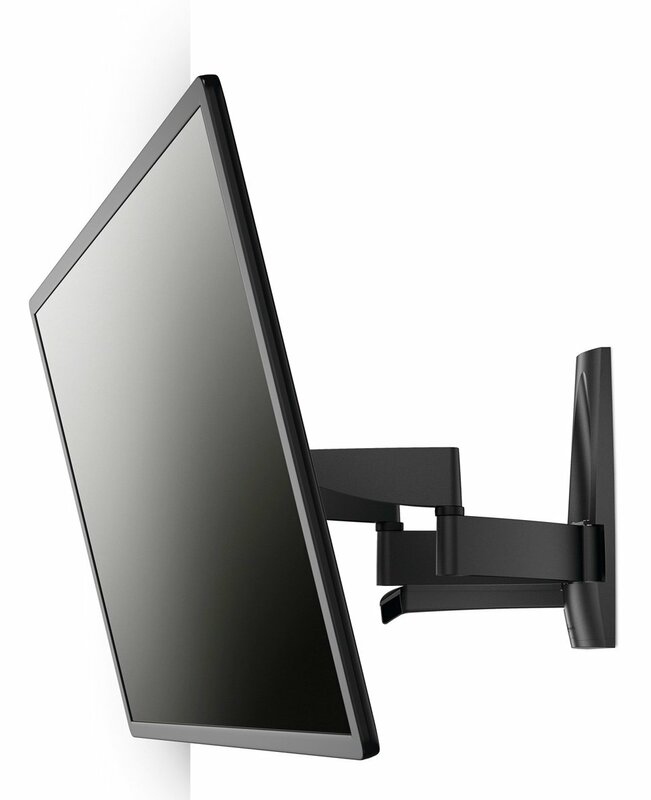 It provides safe and secure mounting for TVs up to 45 kg (99 lbs). TV Large screens can be very heavy. 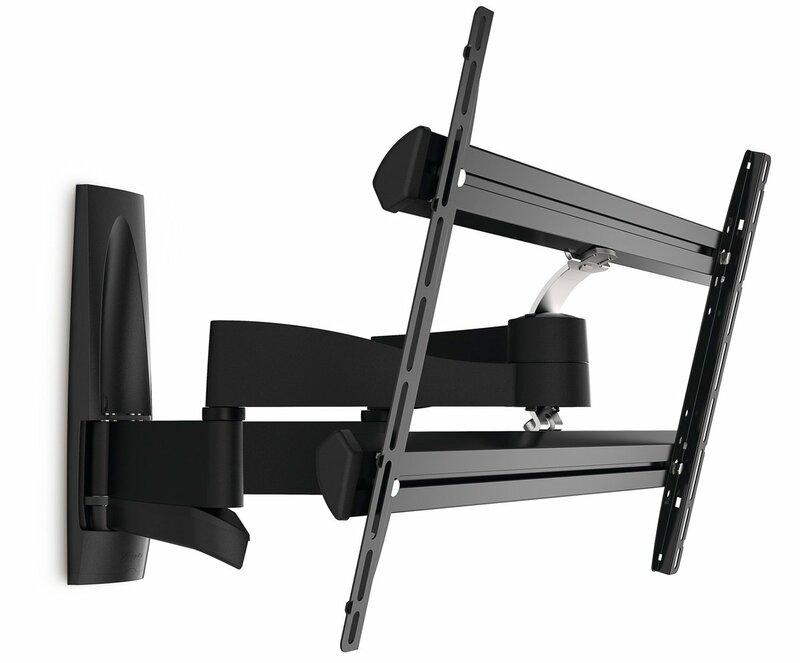 The WALL 2350 TV mount has strong arms, allowing you to easily move the heaviest screens. The WALL series: simply smart value When you want a quality build and clean finish that’s easy on your budget, the Vogel’s WALL series is your best choice. Constructed with heavy-gauge steel and robust aluminium, these brackets are intuitively engineered to stand up to many years of intensive use. Simply smart value. Screen size (Min. - Max): 40 - 65"